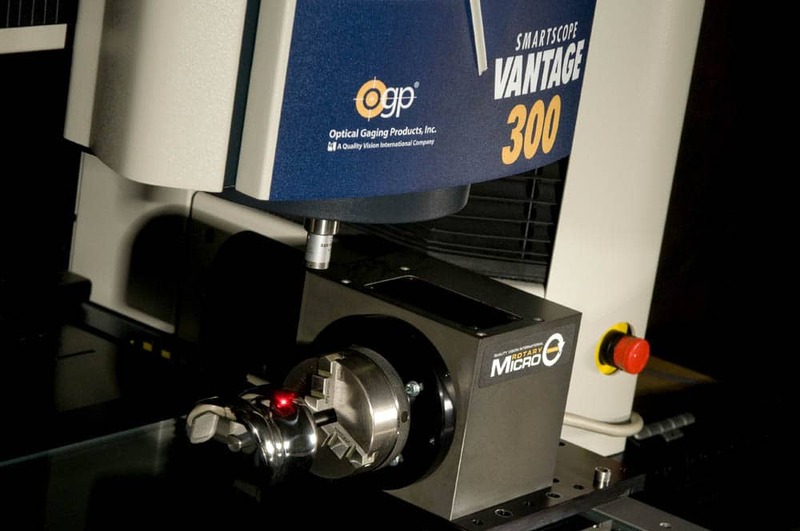 The TeleStar® TTL laser has a unique interferometric sensing technology that yields a high measurement resolution in OGP SmartScope VANTAGE and Specialist metrology systems. The innovative TeleStar® Plus through-the-lens (TTL) laser is available exclusively with the OGP SmartScope Vantage family of systems. Its interferometric technology converts the light from the reflected beam into positioning data as it is scanned across the contours of a part, producing high resolution surface contours for SmartScope Systems. This interferometric sensing technology yields high measurement resolution of 0.1 µm with accuracy to 1.0 µm. TeleStar® Plus TTL laser is ideal for measuring a wide range of part surfaces, from diffuse, ‘light scattering’ surfaces to translucent surfaces. Video imaging of the part where the laser will operate- complete XY travel capability is available for laser measurements. A long working distance allows this interferometric sensor to measure surfaces not accessible to other sensors, and with less risk of contacting the part or fixture when scanning. Optional 0.45X lens yields a 200 mm working distance, allowing users to focus on or scan parts without fear of striking the part being measured. Laser scan difficult-to-access features by utilising mirror options.